Kev’s Decorating Solutions is a provider of professional painting and decorating services for homes and businesses alike. I am based in Bournemouth and have supplied complete painting, decorating and property maintenance services all over Bournemouth, Poole, Christchurch and surrounding areas. I am a fully qualified tradesman with an NVQ Level 3 (equivalent to City & Guilds advanced craft) and am highly experienced in all aspects of interior and exterior painting and decorating. 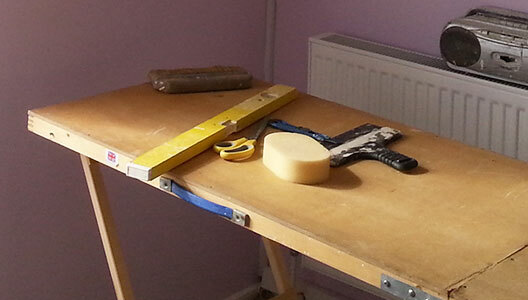 I undertake all aspects of interior and exterior decoration work, including wallpapering, painting and repair work. I aim to provide my customers with a service which is friendly, reliable, professional and understanding – giving you the decoration that you desire at a fair and very competitive rate! Brightening up a family bedroom with some fun wallpaper – before and after shots.